Starting an employee retirement plan is a great way to help employees plan for their futures while rewarding them in the process. It also may incentivize them to help grow the company while reducing taxes. Do I want to or can I afford to do a match for my employees? Do I want to allow employees to contribute to the plan? Do I need flexibility to access the funds prior to retirement for emergencies? Do I want a profit-sharing option? Do I have a high employee turnover rate? If so, consider a vesting schedule for employer contributions. Traditional 401(k)s may not be effective because the IRS’s “top heavy testing” rules may disqualify management’s and ownership’s contributions. 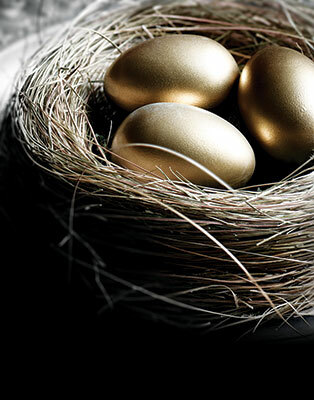 There are, however, alternatives to traditional 401(k)s that will allow all employees and owners to contribute, giving the participants tax-deferred compensation, as well as allowing the company a tax deduction without the burdensome income testing that usually hijacks the good intentions of owners and management. I can’t make you an expert on these plans in this space, but I aim to arm you with enough information to discuss them with a financial professional to determine if one is right for you. Employers must file annual tax form 5500. Contributions are 100 percent vested. Retirement plans can be a great way to save taxes at the company level, motivate employees and defer employee taxes. In most cases traditional 401(k) plans in service firms result in significant restrictions on owners and managers, SIMPLE IRAs and SEPs bypass these restrictions and are relatively easy to administer. Safe Harbor 401(k) plans require more administration than a SIMPLE IRA or SEP but also bypass the restriction of the traditional 401(k).